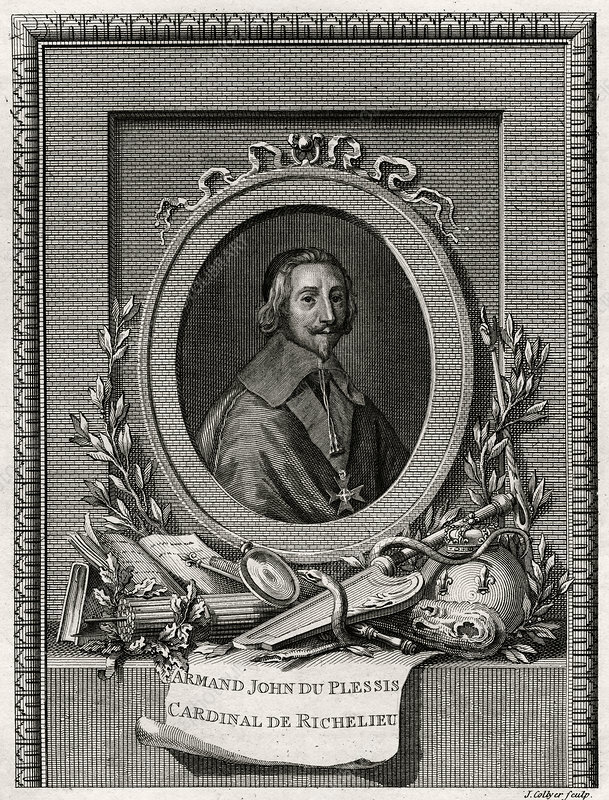 Armand Jean Du Plessis, Cardinal et Duc de Richelieu', 1775. Richelieu (1585-1642) was made a Cardinal in 1622. Minister of state to Louis XIII, he was de facto ruler of France from 1624. A plate from The Copper-Plate Magazine or A Monthly Treasure, London, 1775. Artist: J Collyer.